The Eyes Galaxies, also known as Arp 120, are a pair of interacting galaxies located in the Virgo Cluster. The galaxies lie at an approximate distance of 52 million light years from Earth and have an apparent magnitude of 10. 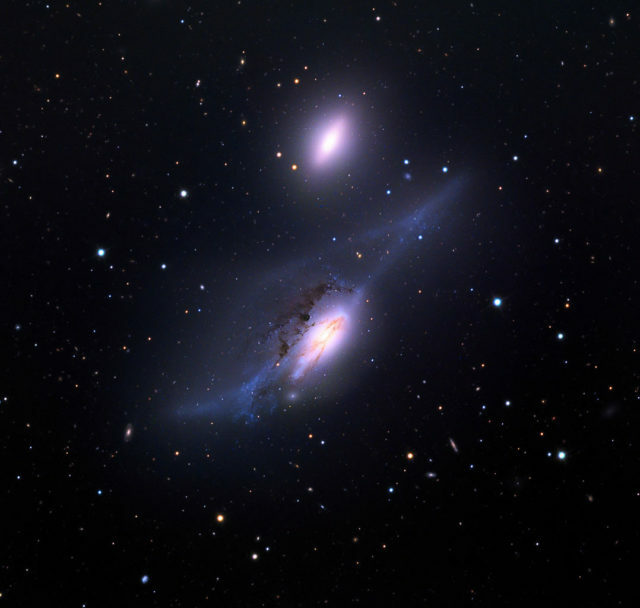 Their designations in the New General Catalogue are NGC 4435 and NGC 4438.